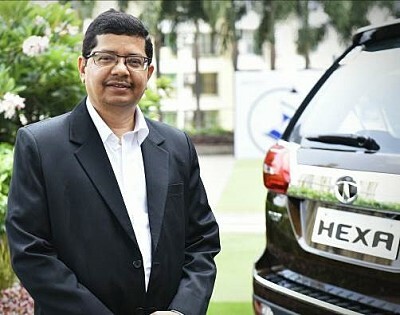 Mr. Rajendra Petkar is the President & Chief Technology Officer (CTO) and member of the Tata Motors Executive Committee (Excom). As CTO he heads the Engineering Research Centre Head (ERC) and is responsible for leading the Product Development & Engineering function that involves design and development of vast range of vehicles & components for the company’s product portfolio. In his previous role as Head of Power Systems Engineering (PSE) Division at ERC, he was responsible for design & development of engines, transmissions and advanced powertrain concepts for the entire value chain of products. Additionally, Mr. Petkar represents the organization at various automotive bodies. An alumnus of IIT Mumbai, he commenced his journey with Tata Motors in 1989 as Post Graduate Trainee Engineer. With an illustrious career spanning over 29 years of research & development, he has held key positions and delivered numerous projects bearing significant impact on TML’s products & their performance. He holds many patents and research papers to his credit. Driven by passion towards future mobility solutions, Mr. Petkar is involved in various engineering & research projects, in collaboration with agencies & institutions of global repute. He enjoys travelling & reading during leisure. Tata Motors Limited is India's largest automobile company, with consolidated revenues of US14 billion in 2008-09. It is the leader in commercial vehicles in each segment, and among the top three in passenger vehicles with winning products in the compact, midsize car and utility vehicle segments. The company is the world's fourth largest truck manufacturer, and the world's second largest bus manufacturer. The company's 24,000 employees are guided by the vision to be "best in the manner in which we operate, best in the products we deliver, and best in our value system and ethics." The company's manufacturing base in India is spread across Jamshedpur, Pune, Lucknow), Pantnagar and Dharwad. Following a strategic alliance with Fiat in 2005, it has set up an industrial joint venture with Fiat Group Automobiles at Ranjangaon to produce both Fiat and Tata cars and Fiat powertrains. The company is establishing a new plant at Sanand. Through subsidiaries and associate companies, Tata Motors has operations in the UK, South Korea, Thailand and Spain. Among them is Jaguar Land Rover, a business comprising the two iconic British brands that was acquired in 2008. In 2004, it acquired the Daewoo Commercial Vehicles Company, South Korea's second largest truck maker. In 2005, Tata Motors acquired a 21% stake in Hispano Carrocera, a reputed Spanish bus and coach manufacturer, and subsequently the remaining stake in 2009. In 2006, Tata Motors formed a joint venture with the Brazil-based Marcopolo, to manufacture fully-built buses and coaches for India and select international markets. In 2006, Tata Motors entered into joint venture with Thonburi Automotive Assembly Plant Company of Thailand to manufacture and market the company's pickup vehicles in Thailand. The company's commercial and passenger vehicles are marketed in several countries in Europe, Africa, the Middle East, South East Asia, South Asia and South America. It has franchisee/joint venture assembly operations in Kenya, Bangladesh, Ukraine, Russia, Senegal and South Africa. Today Tata Motors has R&D centres in India, South Korea, Spain, and the UK enabling pioneering products and technologies. To support sustained leadership in the Indian market and to increase market penetration in other world markets, Tata Motors has a strong focus on developing and introducing affordable, innovative vehicles to meet the demands of the global automotive markets. In March 2009, Tata Motors launched its People's Car, the Tata Nano, which signified a first for the global automobile industry: the Nano brings the comfort and safety of a car within the reach of thousands of families. The high fuel efficiency also ensures that the car has low carbon dioxide emissions, thereby providing the twin benefits of an affordable transportation solution with a low carbon footprint. In May 2009, in keeping with its pioneering tradition, Tata Motors unveiled its new range of world standard trucks called Prima. In their power, speed, carrying capacity, operating economy and trims, they will introduce new benchmarks in India and match the best in the world in performance at a lower life-cycle cost. Tata Motors is equally focused on environment-friendly technologies in emissions and alternative fuels: developing electric and hybrid vehicles for both personal and public transportation. Tata Motors has not limited its efforts on environmental-friendly technologies purely to its vehicles and is implementing numerous initiatives in its manufacturing processes, significantly enhancing resource conservation and improving the environment. Tata Motors is committed to restoring and preserving environmental balance, by reducing waste and pollutants, conserving resources and recycling materials.